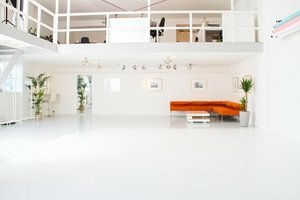 Are you looking for a space to host your photo shoot or Fashion showroom? This 150 sqm pop-up space in the easily accessible Noord has just become available. The studio is located on a ground floor of a large complex. This space is incredibly multi-functional, with several useful amenities, including a kitchen and toilets, it can be used to host all kinds of events. The accommodation comes with furniture which can be rearranged into many different set-ups.